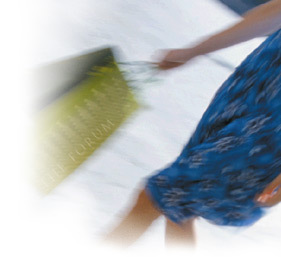 Forum Development Group was founded in 1998 on the idea that people were looking for alternatives to fighting traffic, congestion and crowds at regional malls. The lifestyle retail concept had succeeded in a few markets and Forum's founders saw it as an emerging area of the real estate industry. Most importantly, Forum believed that the upscale specialty retailers were ready to embrace the lifestyle concept as a way to attract the higher-income customer on a more frequent basis into their stores. The principals of Forum called upon their collective expertise in lifestyle and power center development to create a new retail product type, Forum; an upscale, mixed-use development that would give America's suburban and in-town neighborhoods a convenient place for families to gather.